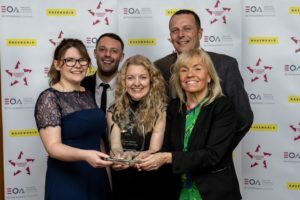 Alfa Leisureplex Group is the winner of the UK EO Awards Employee Owned Rising Star of the Year 2018. The award celebrates a business that already, in its early life, has an effective employee ownership culture where its commitment to engaging its workforce is driving a strong financial performance. Travel business Alfa Leisureplex Group wowed the judges with coach loads of evidence of how it has brought employee ownership to life in its business.